A shout-out to my friend Susan B. Anderson who spread the word about my work on her charming video podcast today. 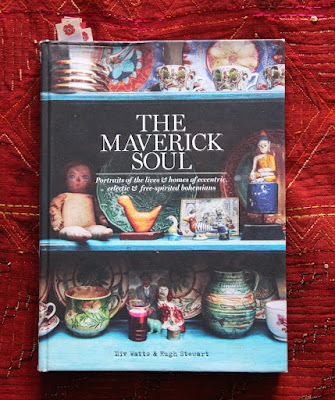 I'm sure most of you if you are knitters know Susan but if you don't, check out her blog. Susan is one of the most prolific knitters and designers I know. Her handknit sock drawer is one to be envious of. Pop on over to her blog and sign up for the giveaway. There's two balls of my Regia Colorations Sock Yarn and a copy of my just re-released Colorful Stitchery to be won. Susan and I met at a TNNA show several years ago when we both had books coming out. Susan has been with Artisan Publishing for years and has had great success with her many books - the Itty Bitty 3 book series, Spud and Chloe at the Farm, and Topsy Turvy Inside Out Toys. You probably own some of them - I know I do. I think the year was 2007 when my Kristin Knits was being published by Storey Publishing. Workman Publishing owns both Artisan and Storey and so we had the good fortune to sit next to each other at a dinner we were invited to. We have been friends ever since. Mostly we keep in contact via email but once in a while we meet up and have a meal together. Or if I am having a particularly bad "knitting author day", I might talk with her for some moral support! Here's a sweet little one minute book trailer made when her Topsy Turvy Inside Out Toys came out. I think this book is my favorite of hers. So clever and such fun projects to knit. If you have a chance to take a class with Susan, do. She is doing more traveling and teaching than she used to and I know her classes are awesome. She also teaches a class on Craftsy called Wee Ones which teaches toy knitting. Check it out here. She also sells lots of patterns on her Ravelry store here. Thanks so much Susan! If you are here because you heard about me via Susan - WELCOME! I've been a follower of Knit Crochet Now (Today) where I was first introduced to you. Your demos were great but too short & I understand why. 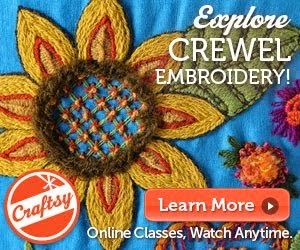 I'll need to check out your new Craftsy course. I just enjoyed watching Susan's podcast & she shared your website. I'm so glad to have the opportunity to get to know you better.